Bipolar disorder is a challenging mental health condition that can interfere with a person’s ability to function on a daily basis. Compounded with substance abuse, it can be even more frustrating to recognize, manage, and effectively treat this mental health disorder. Research from the journal Bipolar Disorders demonstrates that people with bipolar disorder have particularly high rates of co-occurring substance use disorders; substance abuse is prevalent in up to 60 percent of people with bipolar disorder. For this reason, it can be helpful for people struggling with these issues – and for the people who love them – to understand the challenges of dealing with co-occurring bipolar and substance use disorders. According to the National Institute of Mental Health, the severe mood changes that occur with bipolar disorder can result in damage to relationships, an inability to function well at work or school, and self-harm, including suicide. This form of bipolar disorder is diagnosed as bipolar I. Sometimes, extreme manic or depressive periods can result in hallucinations or even symptoms of psychosis. On the other hand, some people experience a milder form of bipolar disorder that is harder to recognize – referred to as bipolar II. With bipolar II, people experience a less extreme hypomania instead of mania. Other people with a mixed form of bipolar disorder may experience mania and depression at the same time. Because of the discomfort experienced during both manic and depressive episodes, people who are struggling with bipolar disorder may use drugs or alcohol to help them feel more in control of their emotional state. According to another article from the National Institute of Mental Health, this behavior, called self-medicating, can lead to substance abuse and addiction. On the other hand, there is also evidence that substance use can trigger bipolar symptoms or extend a manic or depressive episode. Research in the journal Biological Psychiatry indicates that people with bipolar disorder who abuse or are dependent on alcohol or drugs tend to have more severe symptoms and worse outcomes than those who are not dealing with substance abuse problems. The journal Substance Abuse Treatment, Prevention, and Policy published a summary of studies that indicate that anywhere between 20 and 60 percent of people who are struggling with bipolar disorder of any type also have a substance use disorder at some point during their lives. This high level of co-occurrence, coupled with the negative effect that substance abuse has on the development and symptoms of bipolar disorder, makes it important to manage both disorders during the course of treatment. Research, such as a study from the Journal of the American Medical Association, shows that the major risk factor for bipolar disorder is a family history of bipolar disorder or other mental health disorders such as schizophrenia – particularly in parents or siblings. There is also some evidence of increased rates of bipolar disorder in children who lose a parent, particularly their mother, before the age of 5. Otherwise, there have not been any scientifically established risk factors for bipolar disorders. Rates of drug and alcohol abuse in people diagnosed with bipolar disorder seem to indicate that this diagnosis, in turn, is a high risk factor for people to develop substance use disorders. The symptoms of the manic and depressive phases of bipolar disorder are listed above under the general description of bipolar disorder. If a person exhibits alternating periods with these types of symptoms, or seems to be experiencing both mania and depression at the same time, the person should seek help from a professional to determine whether bipolar disorder is present. 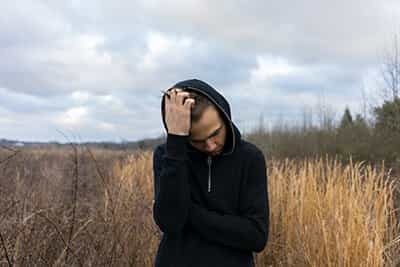 Because some of these behaviors can also be related to bipolar disorder or other mental health disorders, it may be difficult to tell when a person is dealing with co-occurring substance abuse and bipolar disorder. If these types of symptoms are observed, it is important to work with a professional who has experience in dual-diagnosis cases to attain an accurate diagnosis. Research from Biological Psychiatry and from the Journal of the American Medical Association indicates that alcohol, marijuana, cocaine, hallucinogens, and heroin are substances commonly abused by people who are struggling with bipolar disorder. According to this research, alcohol abuse in particular is heavily associated with those who have extensive depressive episodes, while marijuana is a major drug of choice for those who experience longer or more frequent periods of mania. Research demonstrates that treating co-occurring disorders requires integrated treatment. Both disorders should be treated together, rather than treating the disorders separately. In fact, research presented and summarized by the National Institute on Drug Abuse, including a study from Drug and Alcohol Dependence, indicates that a community, integrated group therapy model results in more positive outcomes for people with bipolar and substance use disorders than other therapy types. This is generally true regardless of medication or other therapies that are also used during treatment. However, mood-stabilizing medications are also helpful in order to enable people to focus on and engage in treatment. 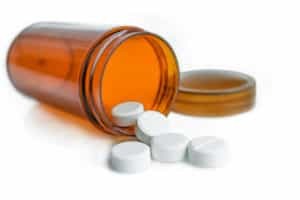 As stated above, substance abuse can make it harder to treat the symptoms of bipolar disorder, and vice versa, because of the negative effect each disorder has on the other. However, recovery from both disorders is possible. Treating co-occurring bipolar and substance use disorders with research-based models can result in positive outcomes and a higher chance of long-term recovery from both conditions.